Motor yacht ONA (ex DILBAR) is a 110 m 361 (ft) vast steel ship which was produced from the keel up at Lurssen Yachts and devised from the design board of Lurssen and Tim Heywood. The enormous full displacement yacht ONA is a very high quality German built superyacht which was launched to accolade in 2008. 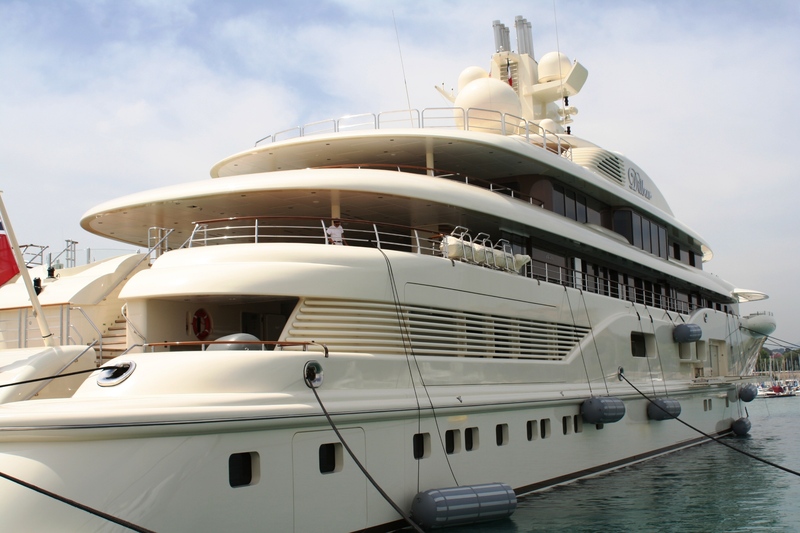 Accommodating 20 passengers and 47 qualified crew, motor yacht ONA was formerly named (Dilbar and Project Opal). The naval architect which delivered the design on the yacht is Lurssen and Tim Heywood. Moreover, her interior styling was created by Alberto Pinto. The yacht is a recent full displacement yacht. Motor yacht ONA was the first yacht in the world with particle filters on the main engine exhausts. 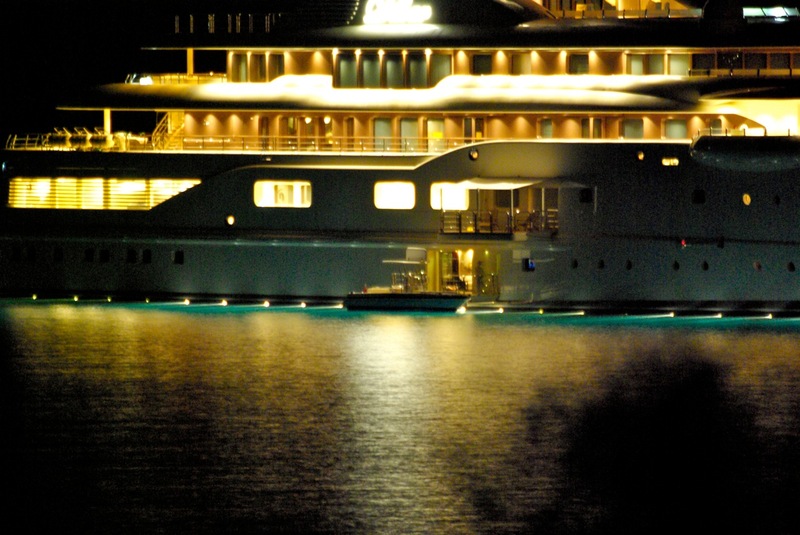 ONA bears a striking resemblance to the 115m motor yacht Pelorus. 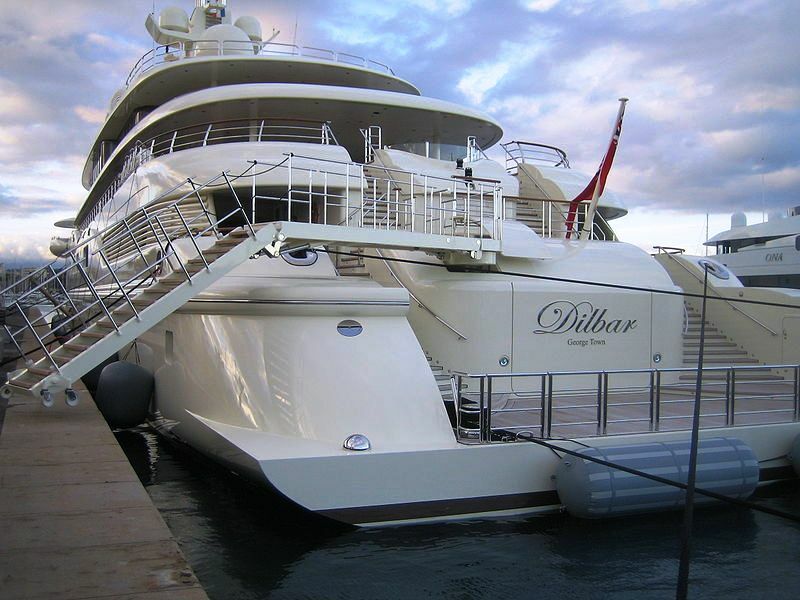 Interestingly, the yacht has two helipads. ONA was built for Russian born Alisher Usmanov and was named after his mother. 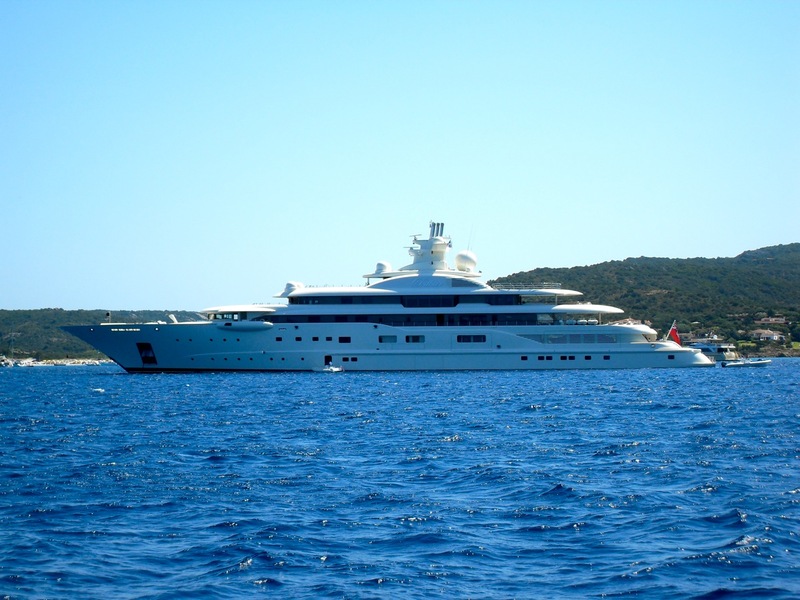 Alisher Usmanov also owns the 66m Oceanco ONA from 2005. Lurssen was the naval architect involved in the professional nautical composition for ONA. Her interior design was conceived by Alberto Pinto. Lurssen and Tim Heywood is also associated with the yacht wider design collaboration for this boat. In 2008 she was actually launched to celebration in Bremen and following sea trials and detailing was afterwards passed on to the owner who commissioned her. Lurssen Yachts completed their new build motor yacht in Germany. The main hull was constructed with steel. The motor yacht superstructure is made predominantly with aluminium. With a width of 16 m / 52.49 feet ONA has impressive room. She had refit improvement and modification completed in 2009. Installed with twin MTU diesel-electric main engines, ONA can reach a maximum speed of 21 knots. Connected to her MTU engine(s) are twin screw propellers. For bow thruster maneuverability she utilises Azimuthing X4. With respect to the ship’s stabalisers she was built with Quantum Zero Speed. The major luxury yacht M/Y ONA is able to sleep up to 20 passengers and 47 crew. 110 metres / 360.9 feet. - Approximate Cruise Speed is 18 knots. As she does have her own helicopter pad aboard, ONA is able to transport guests and/or equipment to and from another place.